After months of preparations, and a few set-backs, Kamalani Academy’s doors are finally open. There’s someone directing traffic in the parking lot, while Kamalani Principal Jeff Vilardi is handing out what he calls, “The Boo-Hoo Breakfast,” — a bag of tissues and other first-day goodies for parents of the younger classes. Welcome to Episode 3 of “On Campus,” our new education podcast that follows the first-year turmoils and triumphs of one of Hawaii’s newest charter schools. 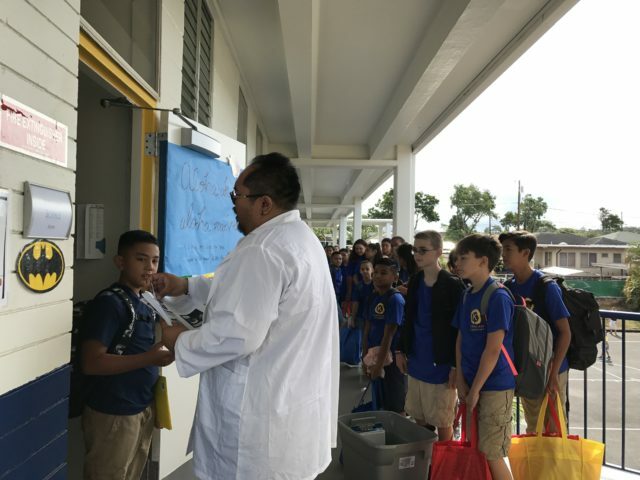 Kamalani science teacher Clifford Lim hands out the class syllabus on the first day of school. 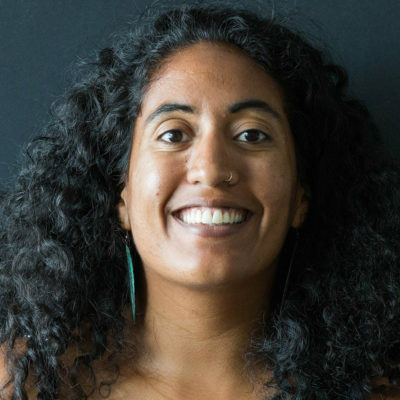 In this episode, host Jessica Terrell takes us through the first day of school at Kamalani – from parent drop-offs to arts integration activities at work in the classroom. We also talk about what it means to open a charter school in Hawaii in a time where the issue of school choice has been controversial nationwide. Civil Beat will be tagging along with Kamalani staff on their journey, posting occasional podcasts throughout the school year. Check our “On Campus” page for updates.